Time flies when you are having fun, so the saying goes. But it can also go pretty darn quickly too when you are under the pump and needing to make decisions. This may be how the high-ups at Fonterra are feeling, with already more than two months having elapsed since the co-operative, along with announcing an awful result, put various things up for review - including the disastrous investment in China's Beingmate Baby and Child Food Co. If the corporate-related issues were not bad enough the farming and production side of matters is not playing ball either, which is all piling more pressure on. Statistics New Zealand reported on Monday that dairy farmers are getting a lower payout for milk but their costs are rising for goods and services like feed, fuel, and freight. Stats NZ said the prices received by dairy farmers fell 4.8% in the September 2018 quarter, due to a lower farm-gate milk price. In contrast, their costs rose 1.5%, mainly influenced by higher prices for animal feed, fuel, and freight. There would be fingers crossed that the results for this week's GlobalDairyTrade auction, which will be known on Wednesday, are not too bad. Continued falls in prices may put further pressure on for another cut in the forecast farm gate milk price for this season. At the moment, as of October, the forecast has now moved to a range of $6.25 to $6.50 per kilogram of milk solids. If auction prices stay soggy and production remains strong then there's every possibility that the next review of the milk price - due by mid-December - will again have to trim that price. In the meantime, farmer shareholders have delivered a sharp, backhanded slap to the Fonterra board by turning their noses up at the three anointed new director appointments (well, one - Peter McBride - made it) and installing independently nominated Leonie Guiney, who served as a director from 2014-17 but was effectively booted off the board and was then extraordinarily gagged by Fonterra from talking to the media - giving Fonterra the sort of self-inflicted, PR disaster that PR professionals have nightmares about. And then there was the independent report prepared for Fonterra's farmer shareholders, which shows that the co-operative had an "opportunity cost" of $2 billion in foregone earnings in its first 17 years of existence. In many respects the report didn't say anything that hadn't been surmised before but it was nevertheless sobering to see the conclusions in all their non-glory. So, it is little wonder I guess that the board and management of Fonterra are giving themselves a little time to sort through the review, including the Beingmate investment. The one time a business can truly be bold when it comes to taking decisions that cost, or more to the point, lose the company money is when the company's had changes at the top. And Fonterra of course has a new chairman and a new (technically still interim - though I wonder if we'll see the 'interim' quietly dropped) CEO. At such times a company can throw the kitchen sink at the previous management decisions made by taking big writedowns and referring broadly to 'legacy issues' as they talk of putting 'past problems' behind them and moving to better times. This is Fonterra's chance for such an exercise. But it will need to get it right. Maybe this is its one shot. And it will need to strike the balance between taking a prudent amount of time over the review and the decisions to be made - and for demonstrating the stomach for and ability to take, firm action. In that regard I'm personally a little surprised we haven't seen anything so far on the Beingmate investment. It would seem on the face of it a very quick and easy 'win' for the new management to jettison this investment and to move on. The fact that this hasn't already happened could just be down to a very thorough approach - or it could indicate that getting out of Beingmate might not be simple at all. The one thing the new top team at Fonterra would not need is a protracted and possibly litigious exit from Beingmate. Given how little is really known about what was involved in the investment in the first place and what promises were made at the time, it's not beyond the bounds of possibility that exiting this investment will be slightly more difficult than just saying: "We're off. Thanks for the memories." My other thought on the current review process is that while, yes, the company certainly should exit bad investments and strategies, I do hope one thing is borne in mind. And that is this: Just because you've made a mess of doing something, doesn't necessarily mean the original general IDEA was wrong. All I'm saying is it would be a shame indeed if the concept of 'value add' was somehow lost completely because it hasn't been done right. It is easy and very human to assume that if something goes wrong it has gone wrong because it was the wrong thing to do. Sometimes it's harder to accept that the basic concept is a valid one - but the way in which it was implemented was all wrong. Having said that, I wouldn't want people to think either that I'm against a kind of 'back to basics' approach. Personally I would start - if it could be done without being ruinously expensive - by relocating the Fonterra head office from Auckland to Hamilton where it would then sit in a much more natural 'home'. There's such a thing of reminding yourself of your roots. And for Fonterra abandoning the idea of being an Auckland city slicker might not be a bad idea. There is much to do for Fonterra to garner confidence among farmer shareholders and the wider public (who do, we should never forget, also have a very big vested interest in the fortunes of Fonterra). 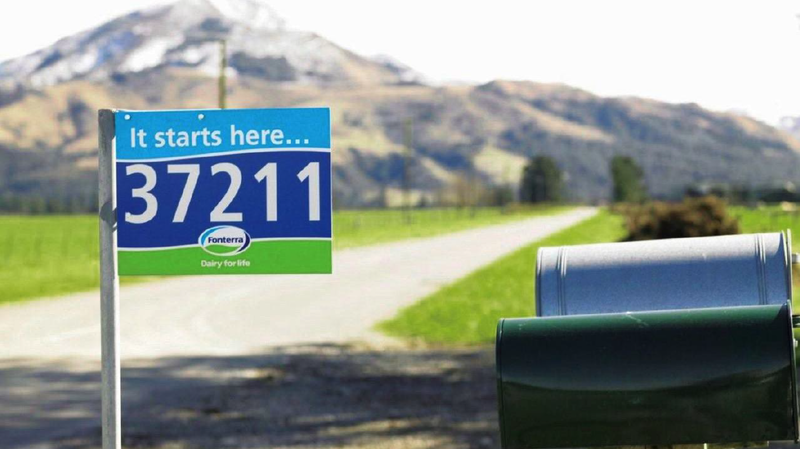 What we need to see is a number of constructive announcements over the next 12 months highlighting a new direction for Fonterra and how this is to be achieved. The problems are so large, I would say, that it would be a big mistake to attempt the 'big bang' approach of saying: 'Here is the new strategy, this is it.' In a sense this is going to need to be show not tell. Show the people the culture and thinking of the organisation really is changing. Actions. Not words. In the meantime, between the corporate challenges Fonterra faces and the on-the-farm challenges of a global dairy market that's looking pretty iffy, these will be challenging times. I hope Fonterra will be up to the challenge. But to be honest I fear not. And I still think the Government needs to be thinking what plan b might be if Fonterra doesn't demonstrate it can get its own house properly in order. Very well written. The company has the right ideas, but lacks the expertise to put those wonderful ideas into action. Relocate to Hamilton. Do not forget your roots. 'relocating the Fonterra head office from Auckland to Hamilton' means another HQ building, multi-storey, hectares of deep-pile carpet, calfskin covers on C-suite chairs, cost up the wazoo. They could start by dropping the price of milk and cheese to less than that of Coke. Make it affordable for ordinary Kiwis. Support the local market. No, their attitude is Kiwis are there to support them by paying through the nose for their excessive debt and tax free payout on retirement.. On the brighter side its less fat in our diet. Increasing studies are proving that fat was never unhealthy (only the fat and refined crabs combo). I had some refined crabs in Singapore once. prefer prawns or crayfish. I agree about the fat and am surprised Steven is so behind the times. On second thoughts, not all that surprised. Haha. You guys are sharper than me at this hour. You can tell the refined crabs from the little monocles they wear. You forgot to add support the locally australian owned supermarket. Fonterra should provide free product to supermarkets so they can make an acceptable modest margin without ripping off their fat craving consumers. The right balance is not having an economy so heavily reliant on milk. It should be just one of a whole range of top quality produce coming out of NZ. Fonterrors monolithic influence in govt, boardrooms, councils, banks and the like has only benefited a small few. I wonder what will have to change within Fonterra in order to right the ship? In his wish list David flip flops between the need to maintain a focus on value add whilst also returning to basics. As a supplying shareholder I would say the governance and corporate culture has been toxic since inception,at the expense of cooperative principles. The humorously idle realisation that performance hasn't been as it should be, despite having hand picked directors and a lapdog council monitoring performance, has yet to result in identifying why it has been as such. I wonder if David or others have any thoughts on this? From where I sit as a Shareholder/supplier I'd suggest that Fonterra is now far to big and complex (as are the markets we wish to supply) and as a result of this we are putting square pegs (basic farmers) into round holes (Shareholder councillor's and Directors). Few of us have even a remote understanding of the international world let alone the skills required to run/oversee such a complex business. The end result is what has just become obvious to us all with the recent reports. I'd like to see Fonterra's debt reduced to $0 as its a Co-op and therefore its debt is also the responsibility of the Supplier/Shareholders, this means that the shareholders debt levels are on average approx. $4.00/kgms higher than what they are carrying as "farm debt". Given the huge volatility we now see in the world markets it makes sense to adopt a zero debt policy. Note that Fonterra was technically insolvent in 2009 and has just gone to the market with a $150m debenture this month - clearly they havent learnt from past mistakes. A zero debt policy would mean large retentions for the next decade or so which given current milk payouts will cause some pain for farmers but long term it would put the co-op (and farmers) in a very strong position. Another option would be to sell off assets to reduce debt and simplify the business model which in turn would make it more accountable and easier to understand for your typical Shareholder Councillor and Director. Tatua is a classic example of how Fonterra could be and if so our dairy investments would be "gilt edged" wheres the return analysis shows very clearly Fonterra as an investment over the last 10 years has been a "Dog". I have my doubts that it can be turned around in its present form and thus is likely to continue to underperform compared to the small nimble operators that are well funded by the Chinese that are popping up like mushrooms all around the country. We need a strong Fonterra to keep these guys honest, if this doesnt happen the industry will not survive in its existing form. I agree that Fonterra has become to complex at the expense of the ability to create value (or realise value through promoting inherent quality and difference in milk derived from grazing pasture), but as far as governance skills go, we need people who understand the unique strength and values of a cooperative structure, and employ management to deal with the complex world. Farmers sympathetic to cooperative values could do this, not charletens like we've had. Agree with your zero debt policy. What's more I take my hat off to Murray Beach for proposing his resolution to strengthen Fonterra's capital position, in the face of criticism from the board and council, whilst being dismayed at Brent Goldsaks rejection of it as being 'anti DIRA, and not far to shareholders who want to speculate on a fluctuating share price, and take whatever capital they can extract upon leaving...' (Farmers Weekly Nov 19, 2018 p4). Given the quality of Directors as such, I to think it will continue to underperform.